Over the years Iron Man found himself fighting other armoured foes, and the thrust of Armor Wars is a good idea from the writing team of David Michelinie and Bob Layton, revealing that much of what enabled those foes was technology stolen from Tony Stark. 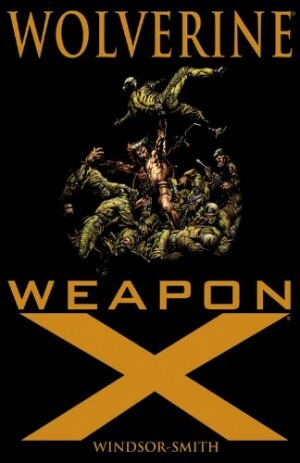 It’s a plot that stands the test of time, but delivered to the standards of the late 1980s, and that’s the problem. The styles, locations and settings that convinced readers in 1988 that Tony Stark moved in the rich and fashionable world of the global industrialist have now dated. In the worst instances the results are now laughable. That shouldn’t be laid at the door of artist Mark Bright, whose brief was to make the series look modern, and it’s hardly his fault the late 1980s wasn’t an era of timeless glamour. 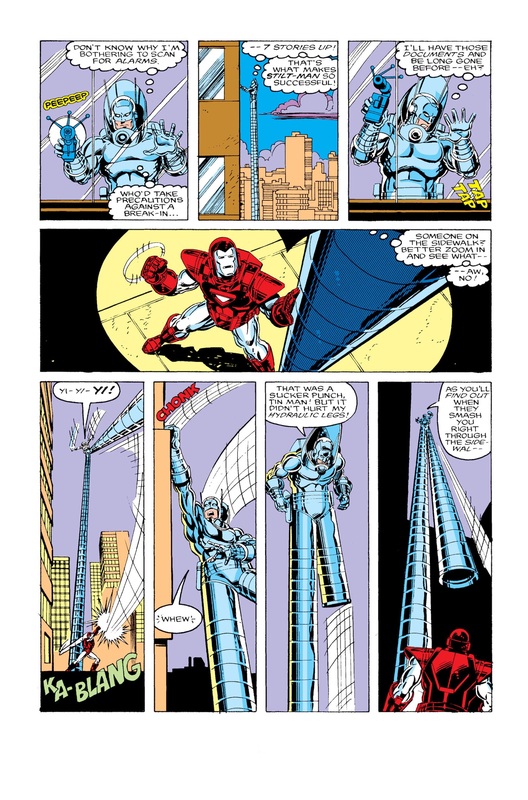 However, as in the previous Armor Wars Prologue, his work is functional without ever stunning, and while Iron Man uses a greater variety of armoured forms, the primary version is still the blocky, Transformers-like iteration. It’s not dated well. Bright’s overall ability is placed into focus by a final chapter co-plotted and drawn by Barry Windsor-Smith. While it’s likely Windsor-Smith didn’t operate to a monthly deadline, the different imagination at play in laying out the pages is immense. While Stark would naturally be annoyed that stolen elements of his technology have permitted villains to loot, maim and kill, his taking personal responsibility for their actions is overwrought. 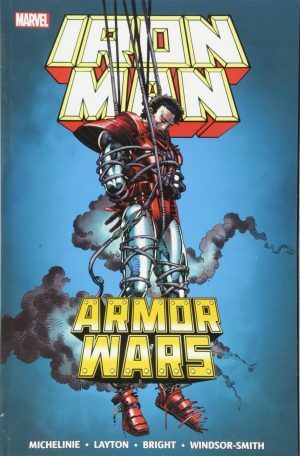 However, as his mission to set things right, Armor Wars is still a fun superhero read for anyone able to ignore the signposts of the times. 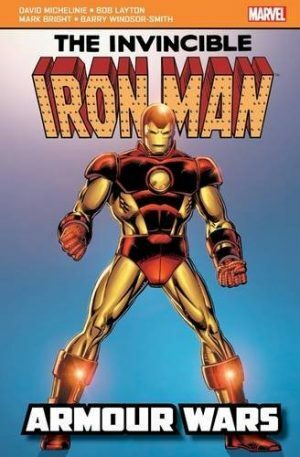 As Iron Man, Stark confronts assorted villains one by one, removing their armour, while Michelinie and Layton introduce enough complications along with the main plot to ensure it’s sustained over the book’s nine chapters. The primary emotional drama comes from the deception required to keep friends from getting to the bottom of Iron Man’s unusually proactive agenda, and anyone looking for early disagreements between Stark and Captain America will find them here. 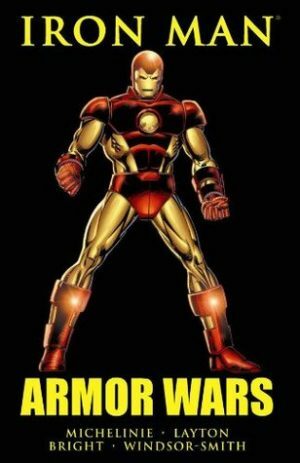 Stark is convinced all alternative armour derived from his Iron Man designs should be destroyed to prevent it being replicated, but being complete means acting against government agents using their armour for protective purposes. Also good is the way the writers use Stark and Iron Man being the same person, and that very few people realise this. Michelinie and Layton are relatively complete in featuring all armoured villains Iron Man’s previously fought, the primary exception being Doctor Doom, but the compensation for him is in the form of characters Iron Man’s not met before. Stilt Man, for instance, rendered inoperative far more easily than if confronted by his regular nemesis Daredevil. 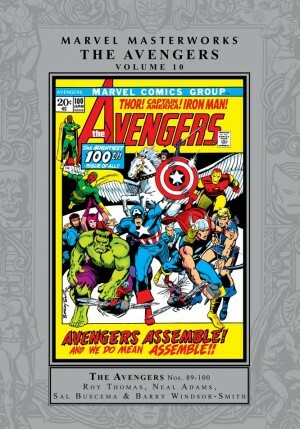 Midway through, the story crosses over into Captain America’s title for an issue, and that’s unaccountably omitted. It doesn’t affect the story greatly, but the same could be said about removing other individual chapters, so not including it just seems cheap. 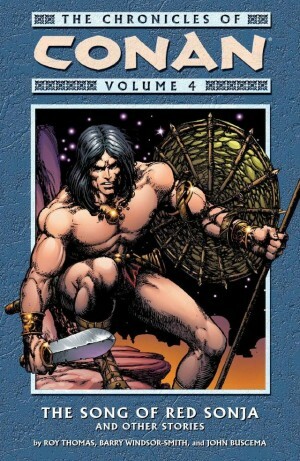 For all the wonderful art, the Windsor-Smith story at the end distils to an ordinary nightmare about Tony Stark being possessed by his alter-ego, yet that art counts for a lot, and the story doesn’t feature in any other graphic novels or collections. Any Windsor-Smith fans wanting to upgrade their pulp paper copy have no other choice. 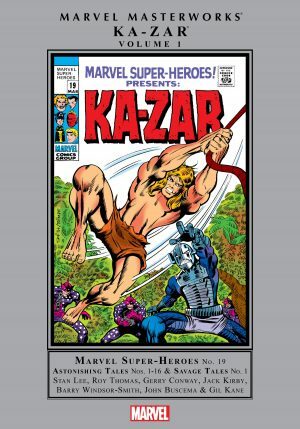 As with Armor Wars Prologue, if you thrilled to this as a child, it’s a nostalgic read, but anyone born after 1980 will spot the flaws before the quality aspects.